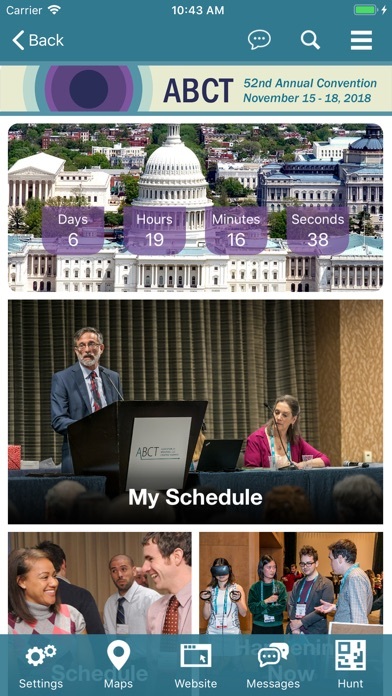 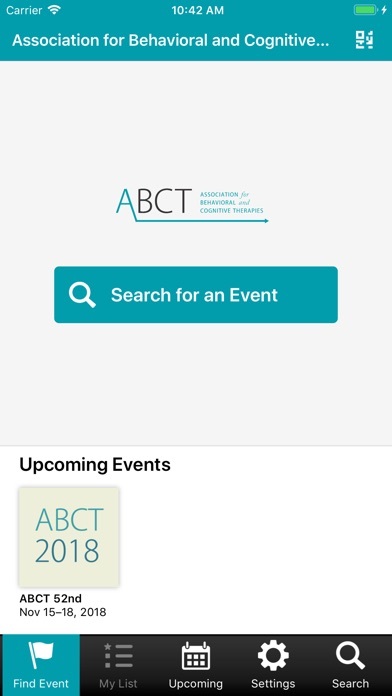 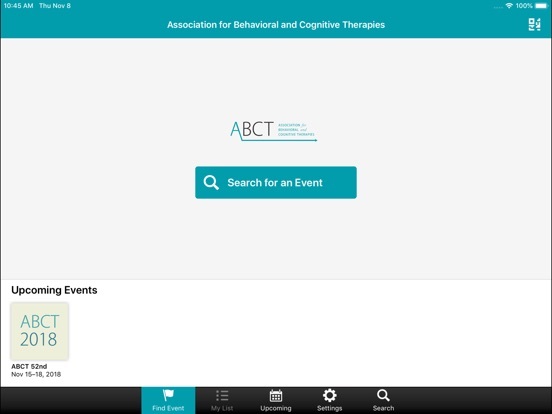 The ABCT Events mobile application allows you to view the schedule, presentations, exhibitors, and speaker details from the conference. 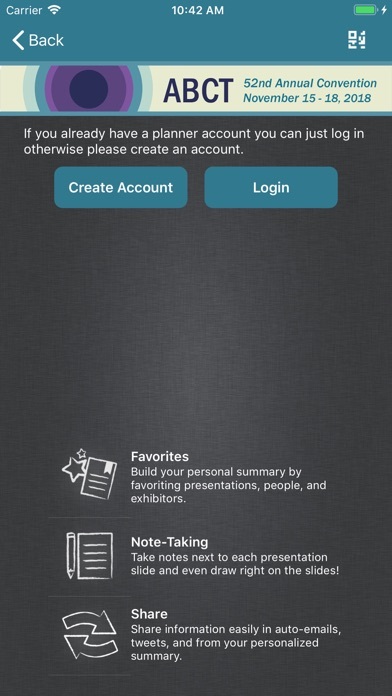 Users can take notes adjacent to available presentations slides and draw directly on slides in the app. 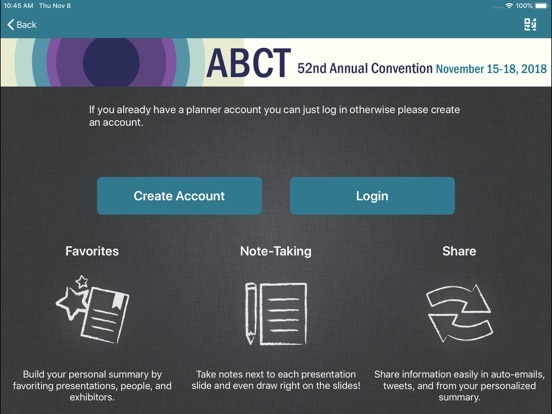 Note-taking is also available for posters and exhibitors. 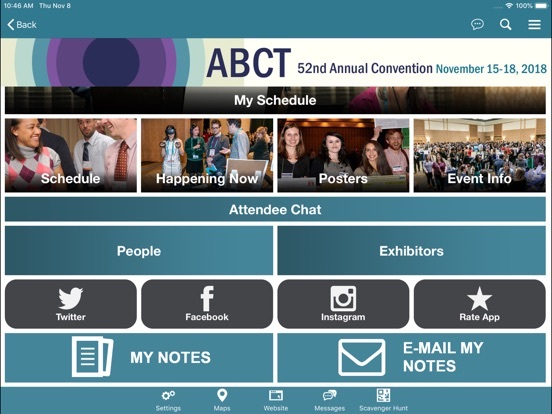 Additionally, users can share information with attendees and colleagues with in-app messaging, tweeting, and emailing.